A new dance-theater work, Halfway to Dawn, explores the life of Pittsburgh jazz great Billy Strayhorn. Written, directed, and choreographed by Los Angeles-based choreographer David Roussève, the piece explores Strayhorn's life and career as an openly gay African-American jazz composer, pianist, lyricist, and arranger. 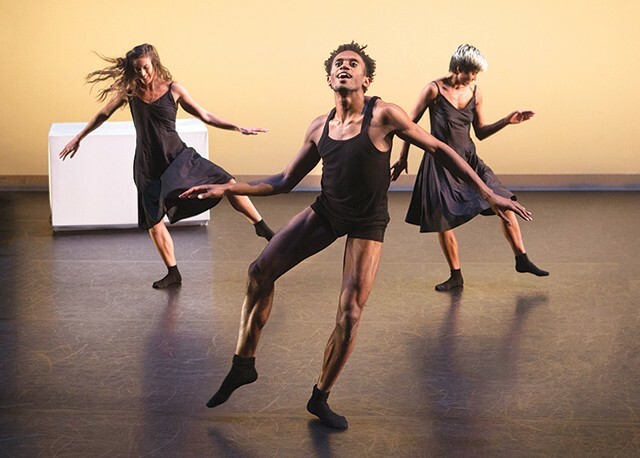 The work, says Roussève, “redefines ‘biography’ as the intersection of fact, conjecture, comment, abstraction, and fantasy” and will be performed by his dance company REALITY making their Pittsburgh debut, February 1-2 at Strayhorn’s namesake Kelly Strayhorn Theater in East Liberty. Born in Dayton, Ohio, Strayhorn’s family relocated to Homewood where he attended Westinghouse High School and went on to become the main arranger/writing partner for Duke Ellington. Strayhorn wrote or co-wrote such jazz standards as “A Train,” “Satin Doll,” and “Lush Life” and was a major influence on singer Lena Horne’s career as well as a friend of Dr. Martin Luther King, Jr.
Co-commissioned by KST, the 90-minute piece was inspired by Roussève's attraction to “unanswerable philosophical questions of life." “At the core of Strayhorn’s life is a dialogue around the very meaning of life, or the nature of legacy. Is life about the genius achievement or about the fame that comes with it?” he says. In telling the story of “Sweet Pea” or “Strays,” as his band mates called him, Roussève says he took a more abstract approach. Set to a suite of over a dozen of Strayhorn’s compositions compiled by d. Sabela grimes, Halfway to Dawn unfolds in two acts. 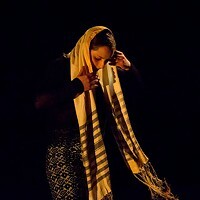 The first is set in a 1950s jazz club, and the second in Roussève’s “dream-like terrain.” The cast of eight includes former August Wilson Center Dance Ensemble dancer Raymond Ejiofor and Cleveland-native Dezaré Foster, who like many involved in the piece, had not heard of the unassuming Strayhorn until recently. “I had only heard of Duke Ellington and not Strayhorn, so this project was quite the learning experience that included reading Strayhorn’s biography,” says Foster.